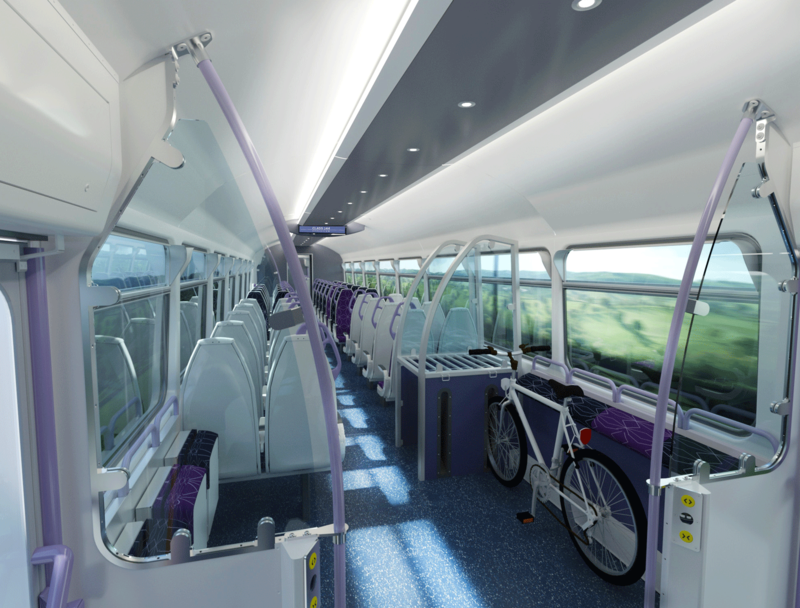 Porterbrook Leasing Company (Porterbrook) were looking to change the perception of their Class 14X fleets of vehicles. 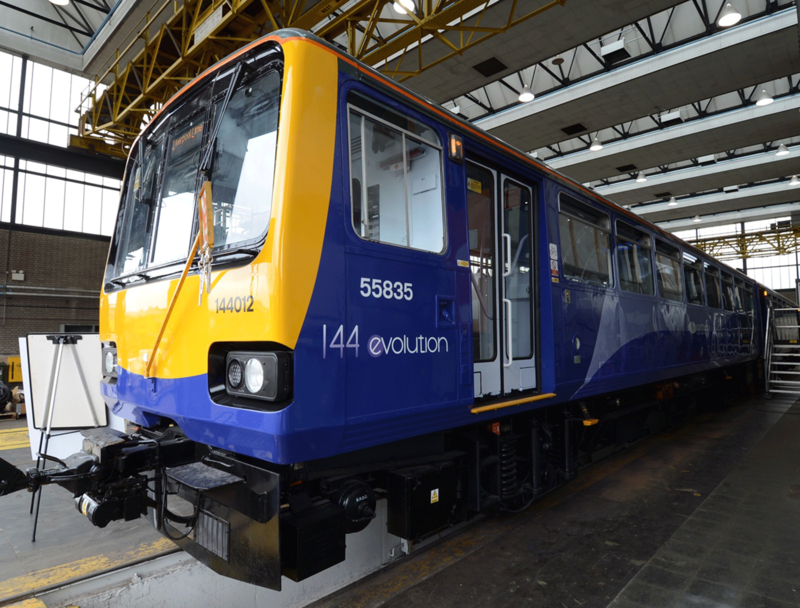 Therefore, a Class 144 demonstrator unit was being refurbished to highlight the potential of these vehicles to possible franchisees. 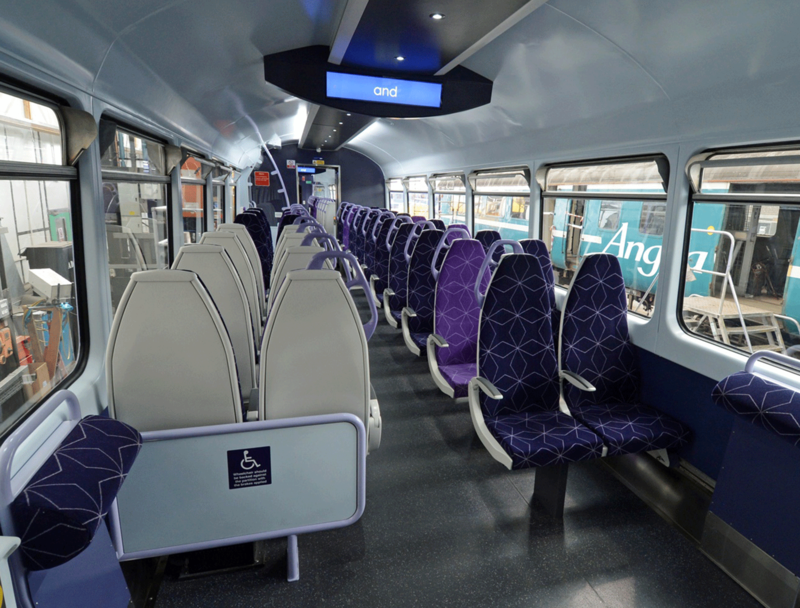 Liaison with Porterbrook regarding the re-design of the vehicle interiors. 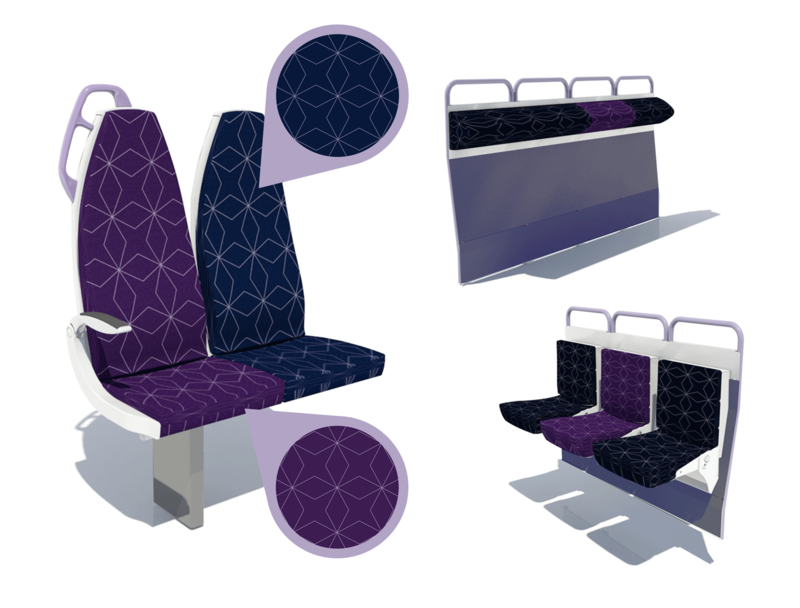 Creation of a clear design ‘vision’ of the new interior. Provision of a design vision for: draughtscreens, PIS housings, call for aid housings and low ceiling arrangement with lighting. Production of a Schedule of Colours and Finishes based around Northern’s refurbished Class 319 units. 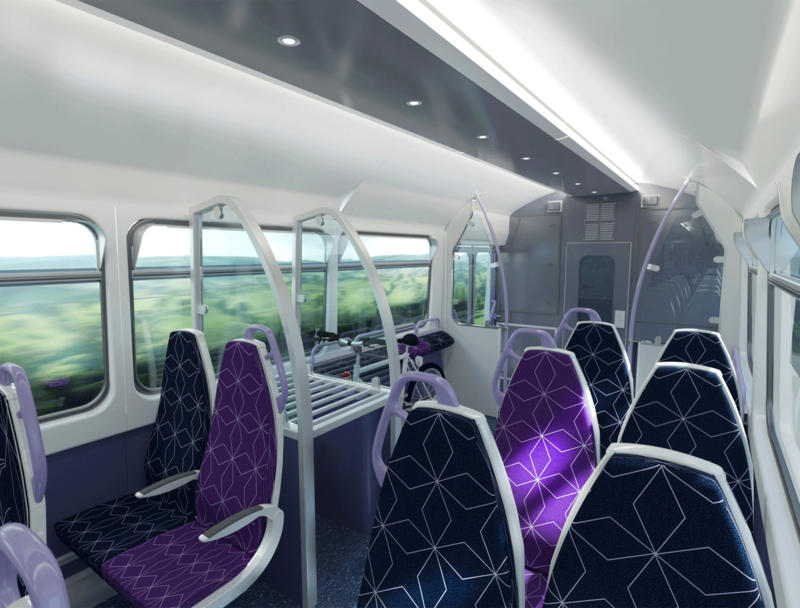 Creation of a set of interior visualisations for both the DMS and DMSL cars. Creation of a 3D exterior visual of the new livery design and a livery drawing. Production of a promotional brochure for the Class 144 Demonstrator vehicle. Creation of a neutral, unique and bespoke set of colours and finishes that will appeal to all potential franchisees.